Bea Hogg is shy but fiery inside. When national dance competition Starwars comes to her school looking for talent, she wants to sign up. It's just a shame her best friend agreed to enter with school super-cow Pearl Harris. Bea will fight back! But when school hottie, Ollie Matthews, who also happens to be Pearl's boyfriend, decides to enter the competition with Bea, she will have more than a fight on her hands. This warm, nuanced, hilarious story about friendship, fortitude . . . and dancing is impossible not to fall in love with. Jenny's voice is fresh and convincing, and she handles both darker and lighter elements of the story with equal panache. Jenny McLachlan teaches English to secondary and sixth form pupils. She is also an Advanced Skills Teacher, delivering masterclasses to pupils, parents and teachers throughout the country. 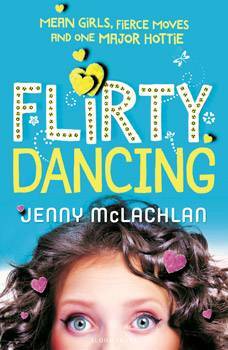 In her spare time, just like Bea, Jenny loves to jive. She lives in the UK.